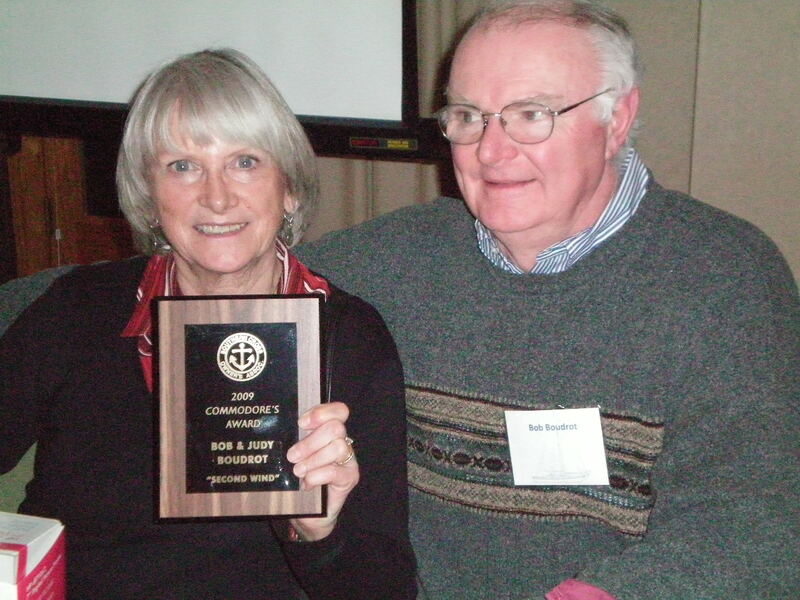 Bob and Judy Boudrot were awarded the Southern Cross Commodore’s Award at the Annual SCOA meeting in February. The Boudrots are the fifth recipients of the award following in the wake of Janet & George Smith, Pat Henry and Pat & Collen DeGroodt and Bill and Debbie Duggan. The first three award recipients have circumnavigated and the Duggan’s have compiled and published over 39 newsletters as the SCOA editors since 1993. Bob and Judy have been active members since 1997. Bob was Commodore in 1999 when Judy took on the position as Web Captain, a title she has kept for the past 10 years. Since that time she and Bob have created a world class owners association web site that is very informative for both members and non members. The web site and specifically, keeping this up to date and current, has been a major success factor in keeping the SCOA a strong and vibrant organization. Thanks on behalf of SCOA for a job well done!